Previously, we had showcased a flurry of 21 astounding images breathtakingly captured from space. 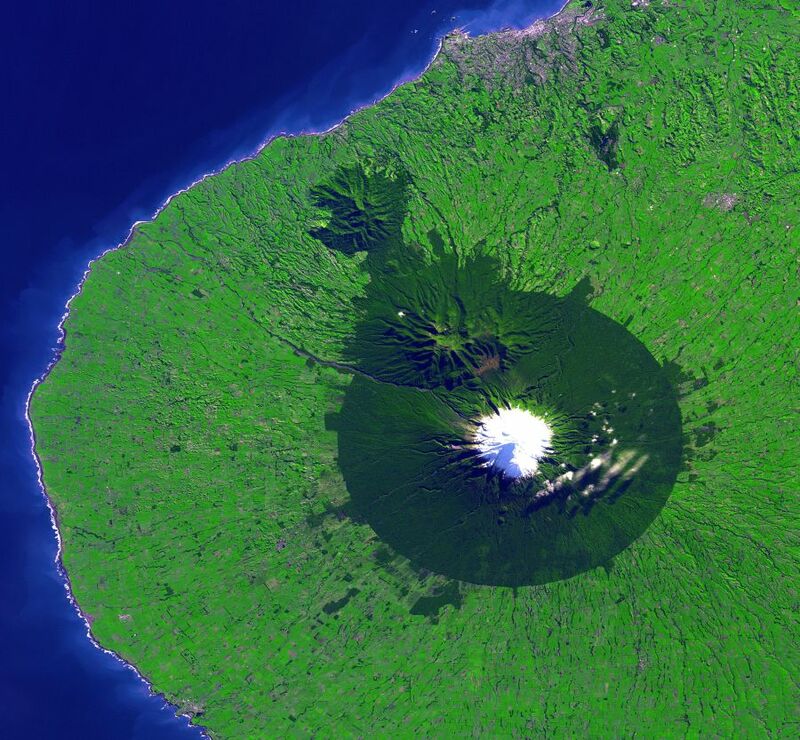 Well, adding another one to the list is the above pictured Egmont National Park, in New Zealand – with the image credit belonging to European Space Agency (ESA). 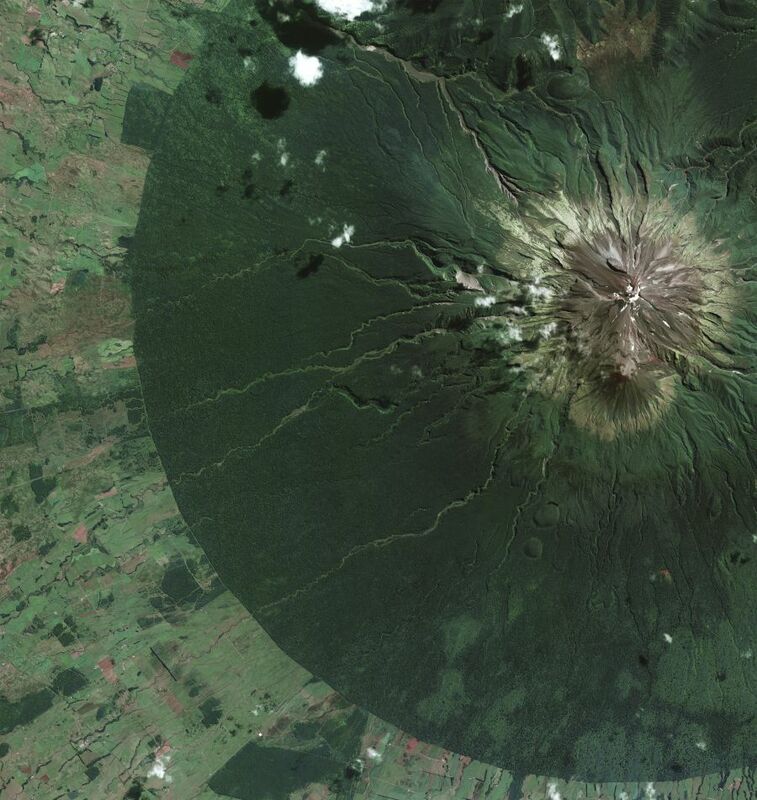 What appears as a fine, immaculate circle surrounding the volcanic peak of Mount Taranaki, is actually the extent of the park with its total of 335 sq km (129 sq miles) area. 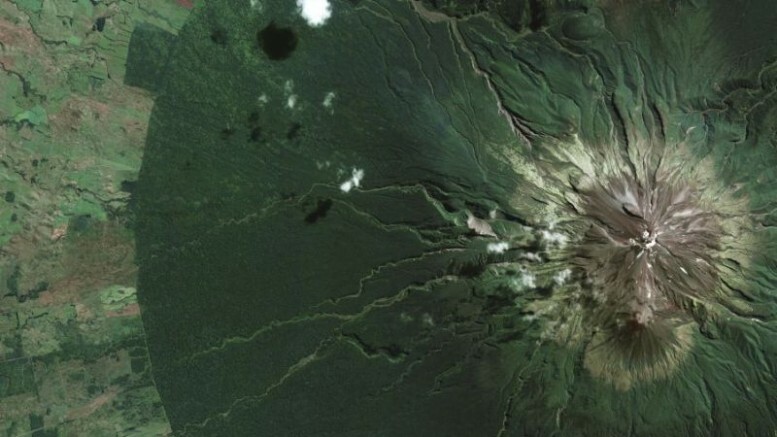 As seen in the earlier satellite images, the ‘godly’ view from above does make many things clear in the landscape below. In this case, it perfectly showcases the clash of human-intrusion (with foraying agricultural fields) and pristine, undisturbed nature – with the curving border being formed at a constant 9.6 km radius from the mountain summit. 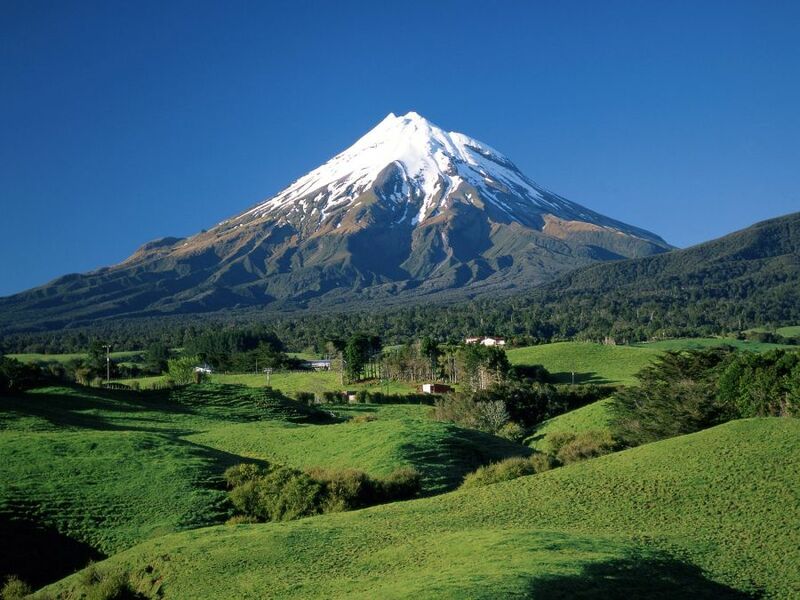 As for the national park itself, Egmont is mainly noteworthy for two things – its lush rain-forest that verdantly drapes the foothill area, and the total lack of Nothofagus or Southern Beech trees that are prevalent all throughout the Southern hemisphere, including the continent of Australasia.